Dr. Gross is a talented and skillful dentist. Her team makes you feel welcome from the minute you walk in the door. I live in Wisconsin, and my daughter recommended her to me. Her care fits in with my well-rounded lifestyle of staying in shape and being the best I can be physically. She is a great, painless dentist. Dental care is an important part of the balance of my life. It’s just another part of that lifestyle. And it’s always been a good experience here. 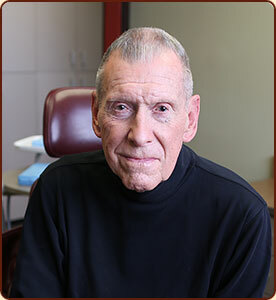 Don continues to come to Dr. Gross’s office from Wisconsin because he values our approach to dental care that focuses on overall health and wellbeing. I feel very comfortable coming to see Dr. Gross, and I’m here on a regular basis getting dental care. The office is wonderful; my hygienist is spectacular. I feel very well cared for, which is extremely important to me and my profession. I play a woodwind instrument with the Minnesota Orchestra. In my work, my mouth is really important in forming embouchure and playing. It’s been critical for me to have good dental care. 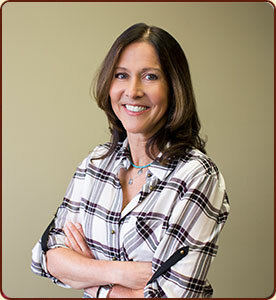 Marni is a musician with the Minnesota Orchestra, and her career depends on complete and thorough oral health care. 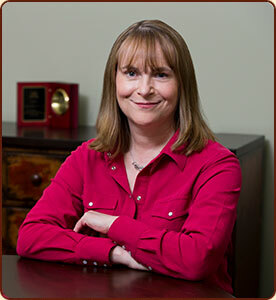 She relies on Dr. Gross’s approach to help keep her profession in peak condition. Dr. Gross’s care has made my life. I really had a lot of work to be done, amazing work, and she just took care of it one step at a time. I’ve known Susan for about 12 years. She is so thorough. She really focuses on you and listens to you. She has a huge backup team—if she has a question about what should be done, what could be done or what’s possible, she’ll consult with other specialists in the field. I really like how she manages it all, and how she manages me. Mary has relied on Dr. Gross for more than 10 years, and continues to benefit from our industry connections and coordinated partnerships. 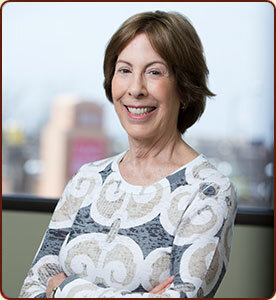 Her care is completely personalized and managed by Dr. Gross herself. When I think of Dr. Gross, I think of professionalism, I think of compassion, and how she is so meticulous in how she approaches my dental care. I have a pretty complex medical and dental history, and her ability to pull together a team of experts to really resolve all of those issues has dramatically improved my quality of life. I have known Dr. Gross for nearly 30 years, and met her as a referral from a friend. I’ve had such good care that it was a natural choice to then bring my family here. I would highly recommend Dr. Gross, and have already recommended her. She has tremendously impacted my life. Janele has continued to choose Dr. Gross’s dental care for nearly 30 years and entrusts our clinic with her family’s oral health care as well.